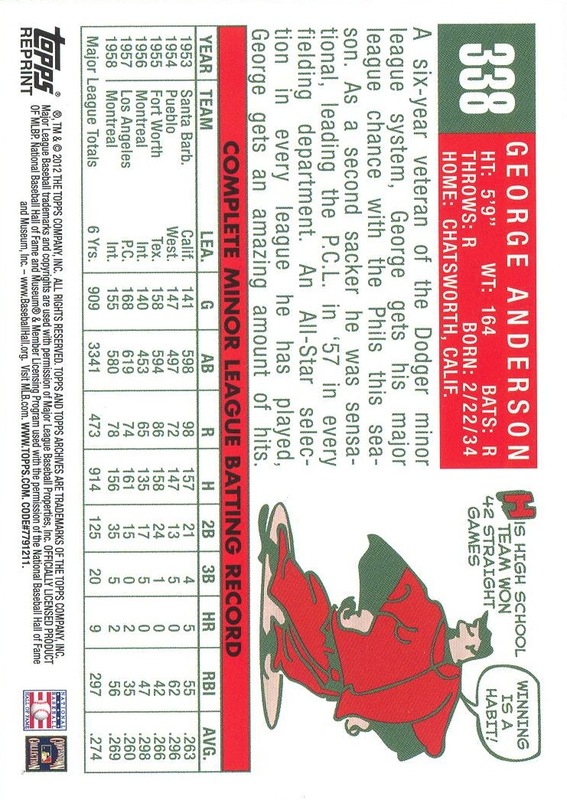 Additional Information/14,000 Phillies Commentary: Inserted in packs of 2012 Topps Archives. Topps did not create a new numbering system for the reprints in this set. Therefore, Beckett’s online guide uses the numbers of the original cards in their checklist. I have followed their lead. (Thankfully, no card numbers were duplicated.) However, Beckett’s checklist for this set contains a glaring error: it currently lists the Fergie Jenkins 1967 reprint as a Phillies card — it most assuredly is not. To their credit, Topps had not previously issued a reprint of this card. 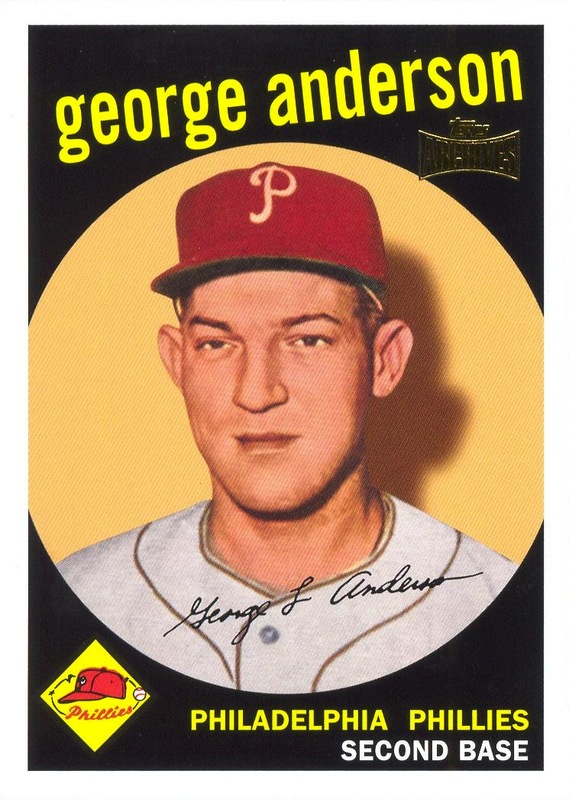 Given the cost of the original card (in NM condition or better, that is), this creates a nice affordable way for some Phillies collectors to “complete” their 1959 team sets.